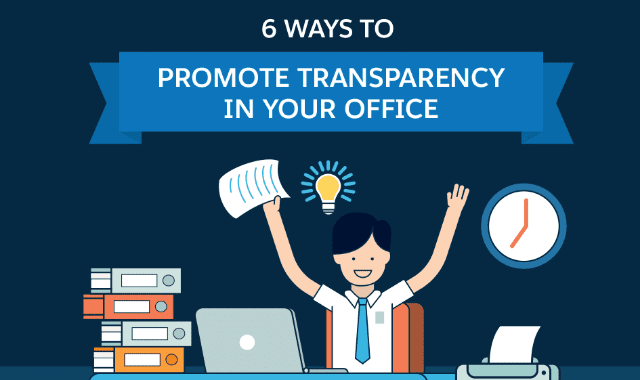 6 Ways to Promote Transparency in Your Office #Infographic ~ Visualistan '+g+"
A culture of open communication is crucial to fostering a great working environment for both management and employees. Because it’s so important, you should make an effort to promote transparency in the office in order to help employees feel safe sharing their concerns, opinions, thoughts, and ideas for improvement. Following are some ways office managers and supervisors can promote a more open office, which helps provide congruence between departments and employees.